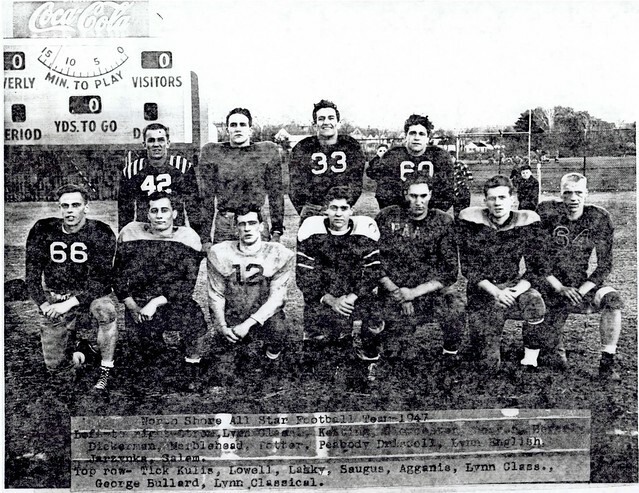 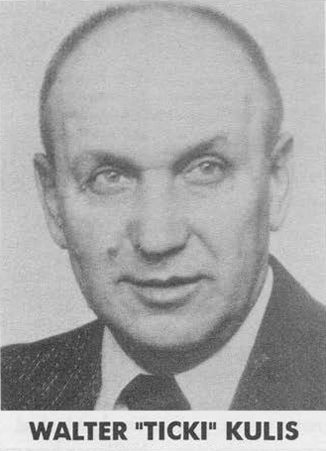 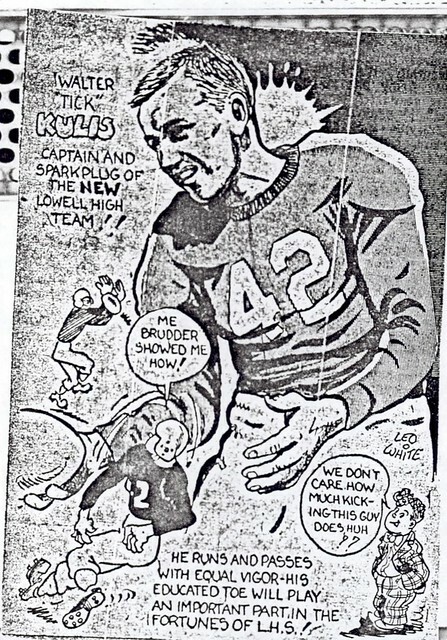 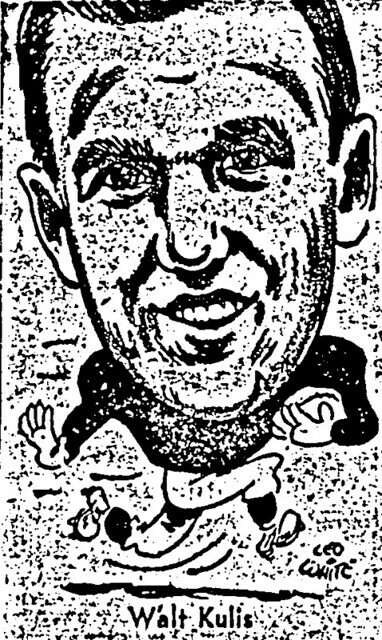 One of the outstanding three-sport athletes of the 1940’s, Walter “Ticki” Kulis was a key member of the Red & Gray football, basketball, and track teams during his tenure on Kirk Street. 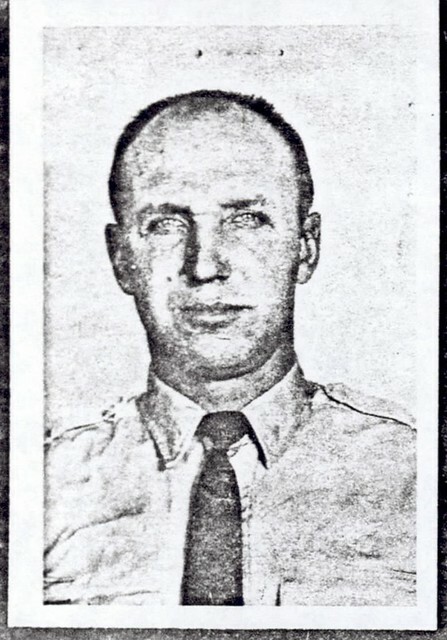 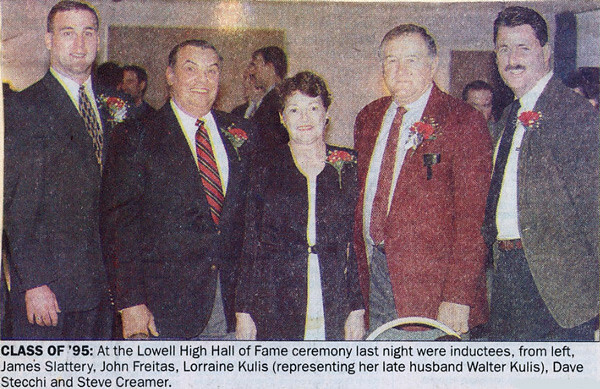 As team Captain of legendary Lowell High School Hall of Fame Coach Ray Riddick’s first team at Lowell High School, Walter established a standard of excellence that would challenge those who followed him under Coach Riddick’s tutelage. 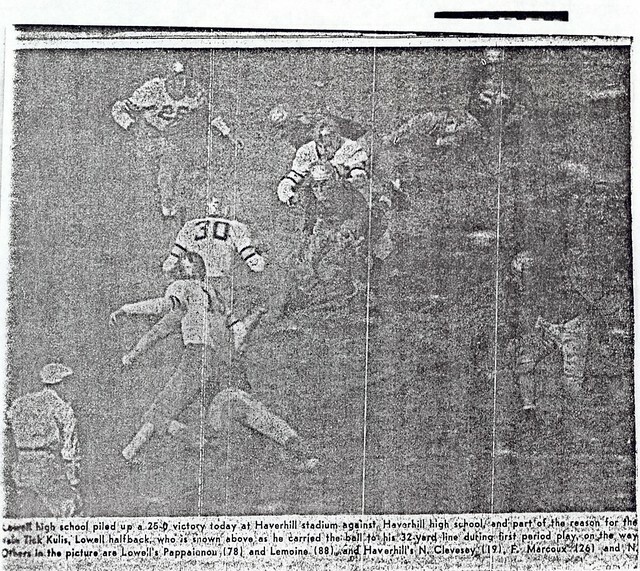 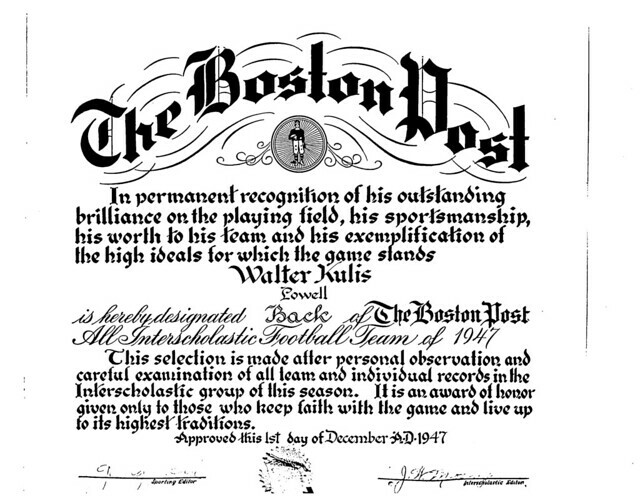 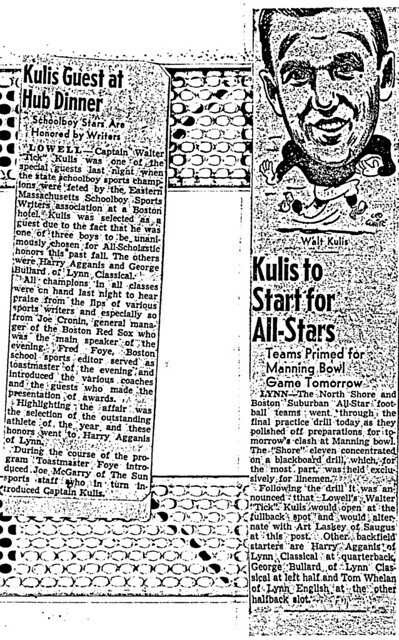 At the conclusion of his senior year, Walter was selected as one of only 3 consensus All-Scholastic selections in Massachusetts, one of the others being the great Lynn Classical star, Harry Agganis. 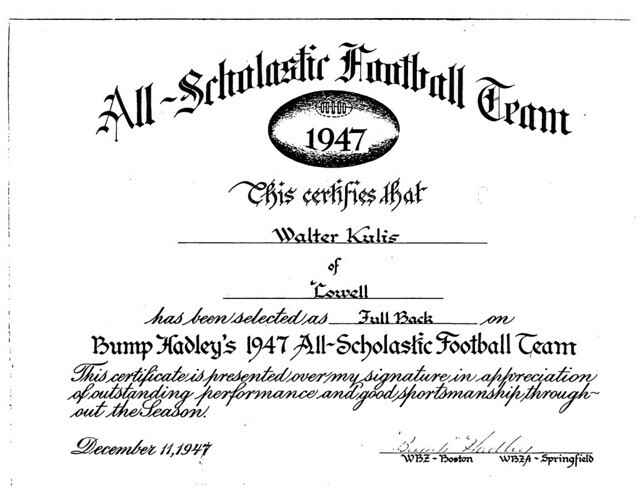 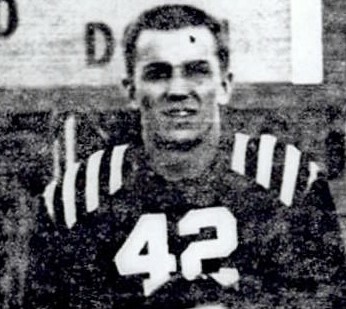 After graduation, Walter participated in football at the college level at the University of Georgia and American International College.